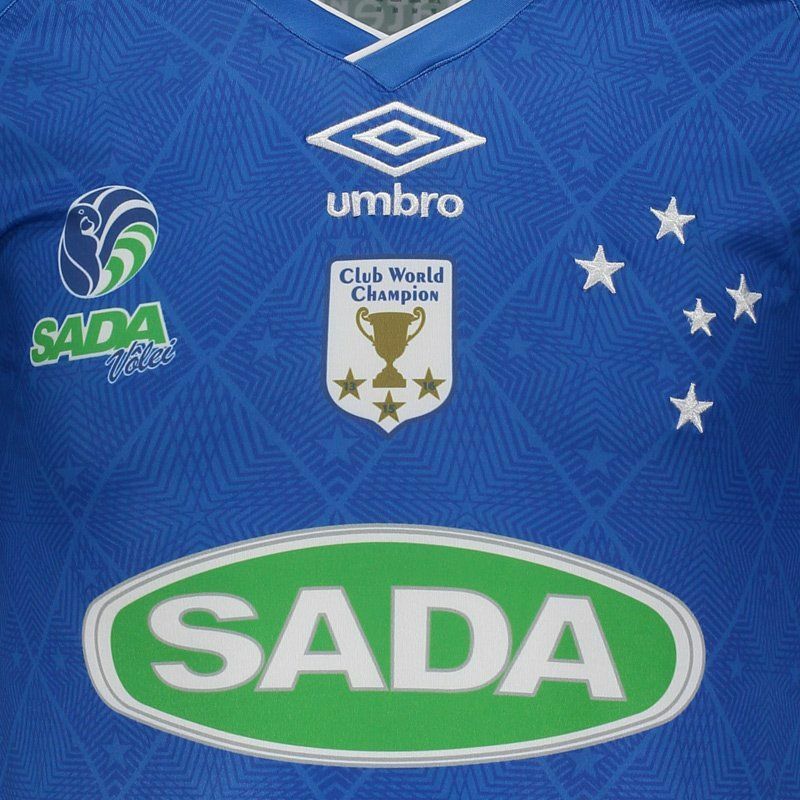 Produced by Umbro, Cruzeiro's third volleyball jersey for 2017 is made of polyester and elastane and offers name and number customization using the official team source. 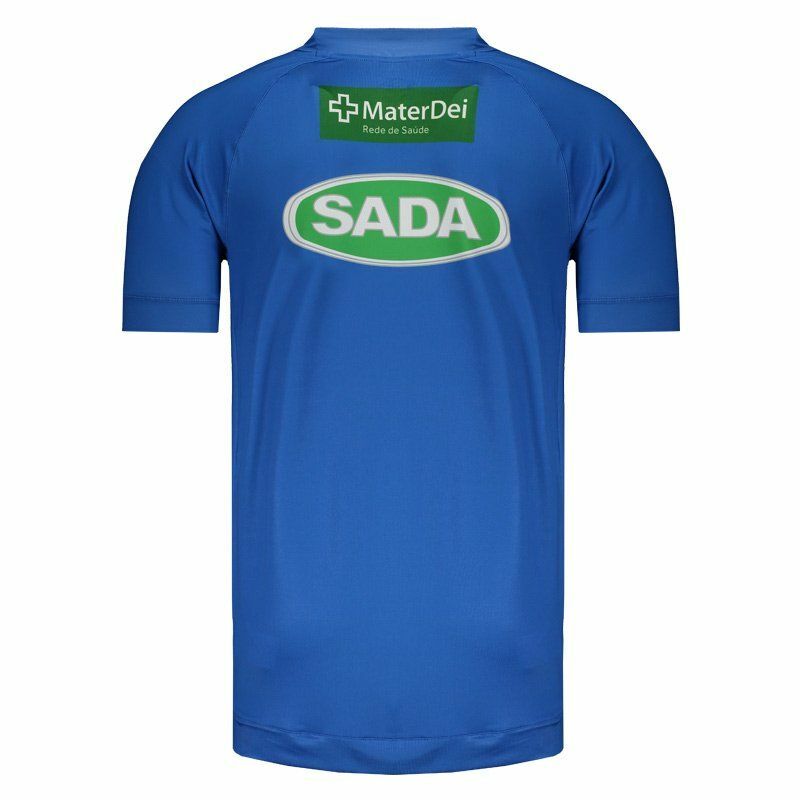 Its design presents blue as the predominant color and brings the five stars. More info. 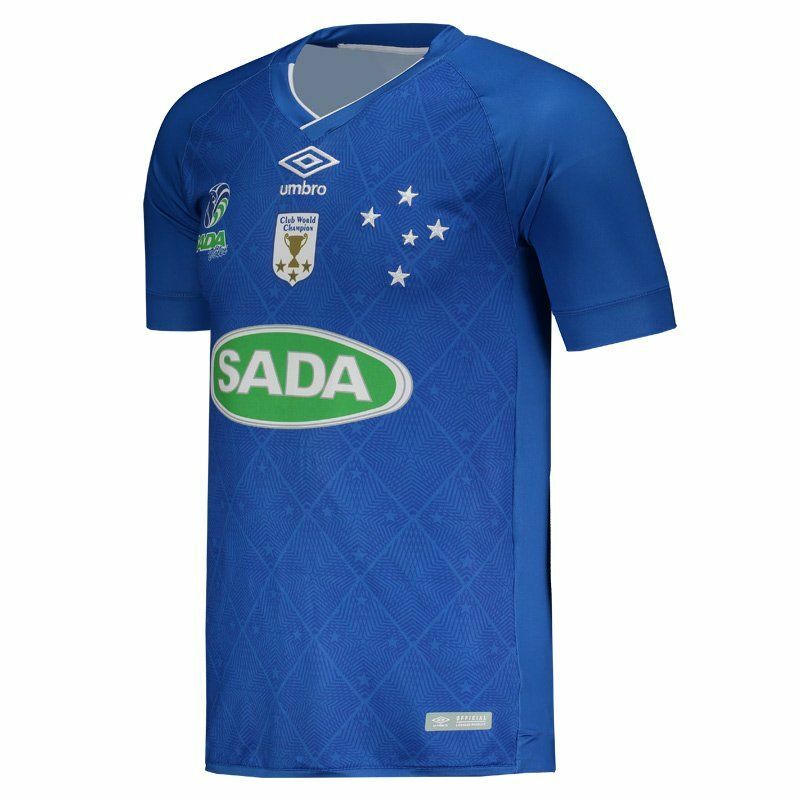 Produced by Umbro, Cruzeiro's third 2017 volleyball jersey fors made of polyester and elastane and offers name and number customization using the official team font. 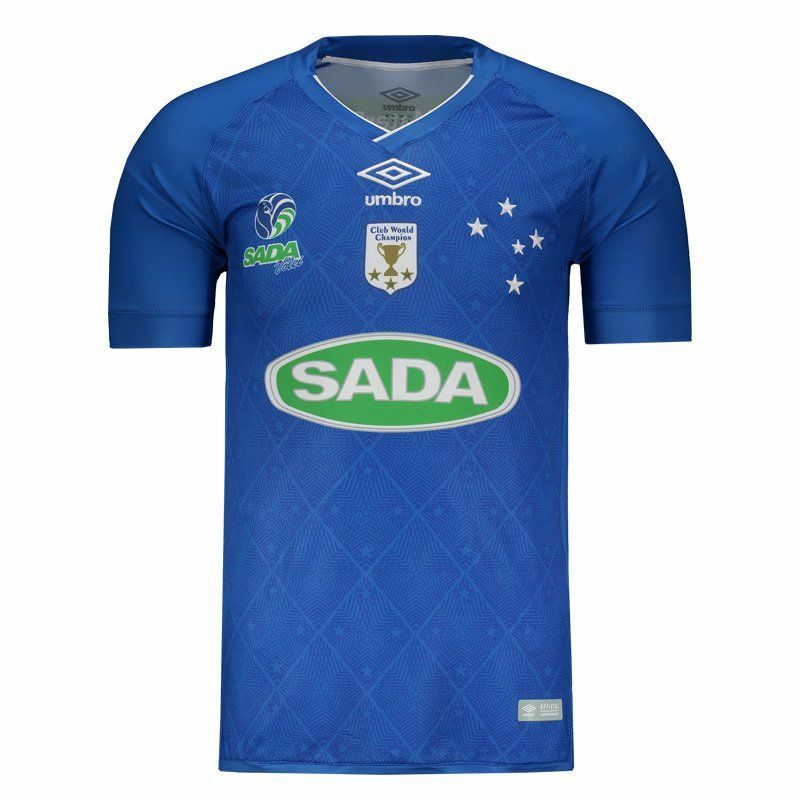 Its design presents blue as the predominant color and brings the five stars of cruzeiro stylized in the frontal region. It also features white details in the region of the collar, which in turn, is V. In addition, in the chest, the team's badge presence, as well as the patch of the World Championship Volleyball Clubs. Finally, the mantle brings the stamp of sponsors, complementing the piece.